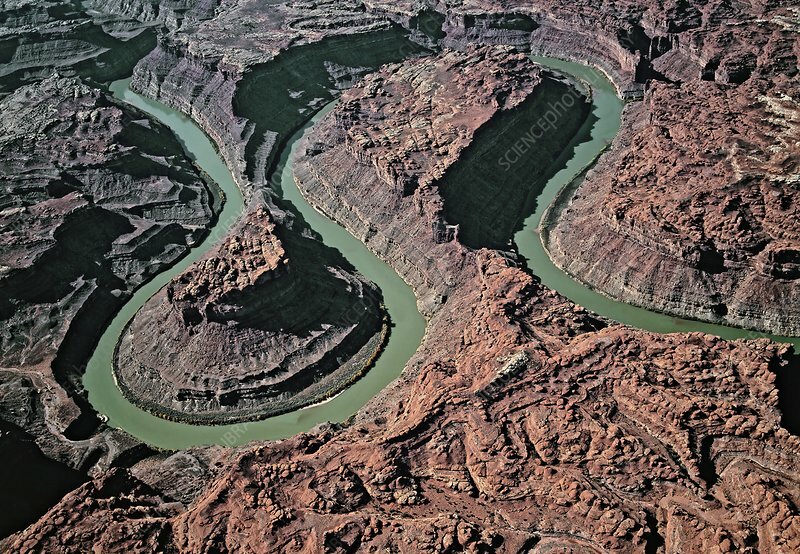 Aerial photograph of the Colorado River, Utah, USA. Fine particles of suspended matter that includes mud and algae gives the Colorado River its colour. Particularly when in full flow the river carries a lot of sand and rubble. This has allowed it to carve its meanders deeper and deeper into the rock strata of the Colorado Plateau over tens of thousands of years.